I decided to make this project to make my own garden watering system. 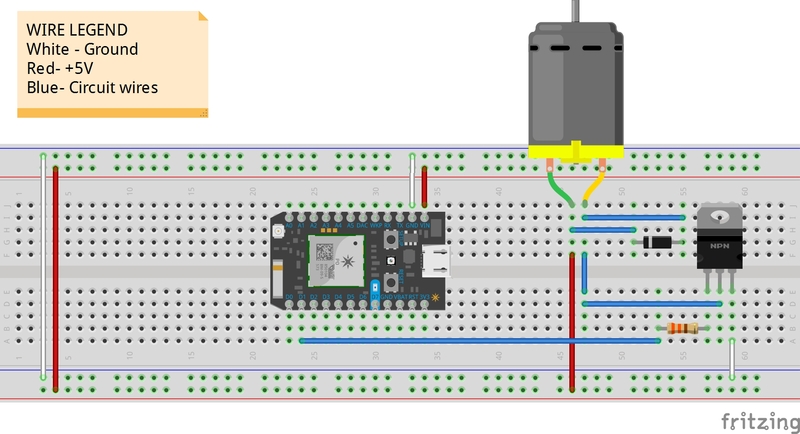 The project as it is now allows adding more motors and controlling through a Web interface. I plan to keep expanding this as time goes to include multiple pumps, environmental readings, etc. I used a transistor as a switch to trigger the motor ON and OFF. The UI allows modification of the motor speed as well as allowing it to turn it ON and OFF. The authorization for the app goes through the Particle cloud, so you will need to sign in. Breadboard layout for the circuit. A 5v supply has to be provided to the motor and the particle. I hacked a USB cable and powered it through an external battery. This shows the circuit diagram used in this project. 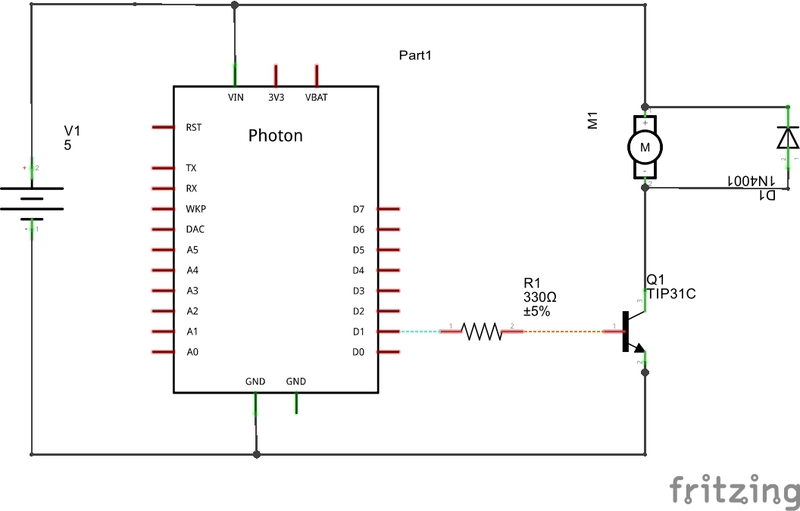 Firmware for the particle photon to control the motor through a web interface. Thanks to Santhosh Kumar Balakrishnan.